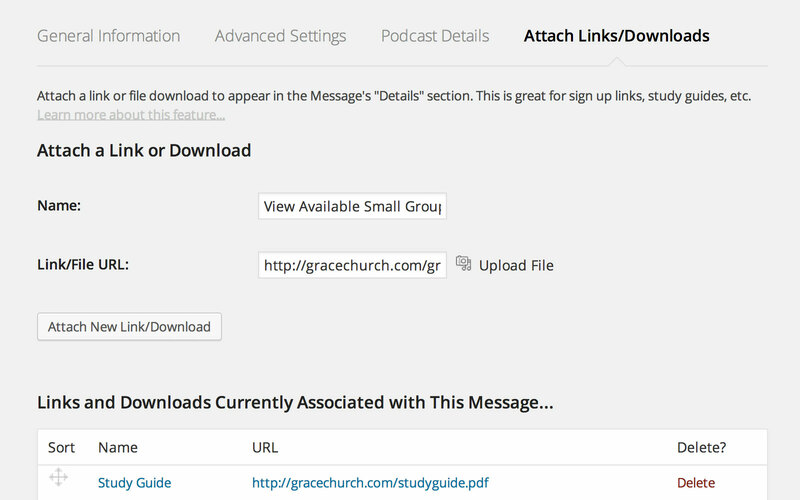 Effortless sermon archives and podcasting. A Premium Plugin for WordPress. The Series Engine plugin installs in seconds. 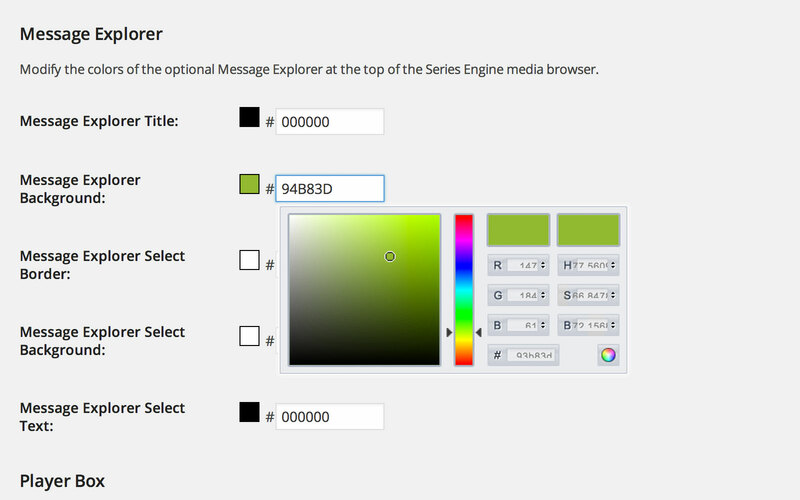 Simply activate the plugin, enter the shortcode on any Page or Post, and pick your colors. Series Engine does all of the heavy lifting for you... There's no need to know HTML, CSS or any other geeky acronyms! Use the media you already have! Series Engine is built to use simple embed codes from Vimeo, YouTube, and just about any other video hosting service. With support for self-hosted audio and video as well, it's the best way to get all of your content in one place. The Series Engine media browser automatically creates buttons to share your content through Facebook, Twitter, email and more. It also automatically generates graphics and descriptions for beautiful social sharing. Your visitors are only one click away from sharing their favorite content... Getting the word out has never been easier. The special Series Engine menu in the WordPress admin portal allows you to update your Messages, Series, Speakers and Topics from any web browser. One save updates every page, post, and podcast! You worked hard to make your site look great; Series Engine is built to match. A quick visit to its robust settings page allows you to change fonts, colors and icons in a matter of seconds... No coding required! Series Engine includes support for Chinese, English, German, Spanish, and Turkish, with official support for more languages coming soon. If you're using a different language (or just don't like the way something is worded), you can change any line of text in a matter of seconds. It's completely painless, with no need to edit code or find-and-replace. You can create a great media page with Series Engine, but that just scratches the surface of what it can do. The custom shortcode generator allows you to post specific Messages, Series, Speakers, Books, or Topics within any Page or Post. 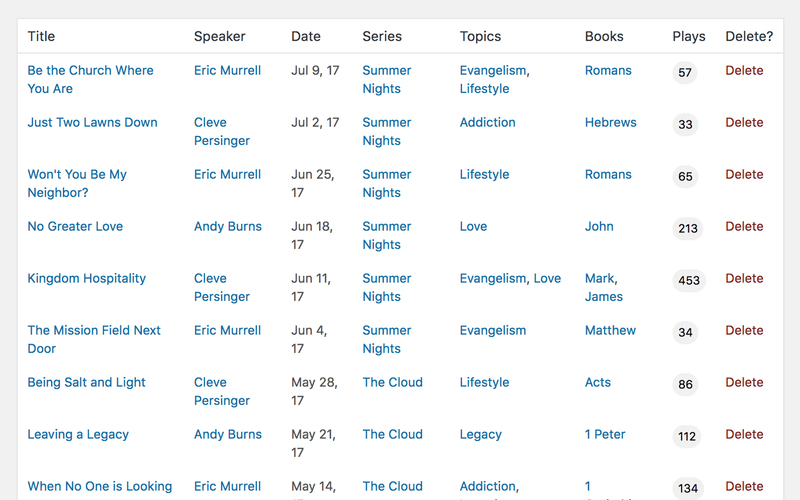 You have a lot to offer; Series Engine makes it easy to find by including simple options for your audience to explore other Series, Topics, Speakers, Bible Books, and Messages. 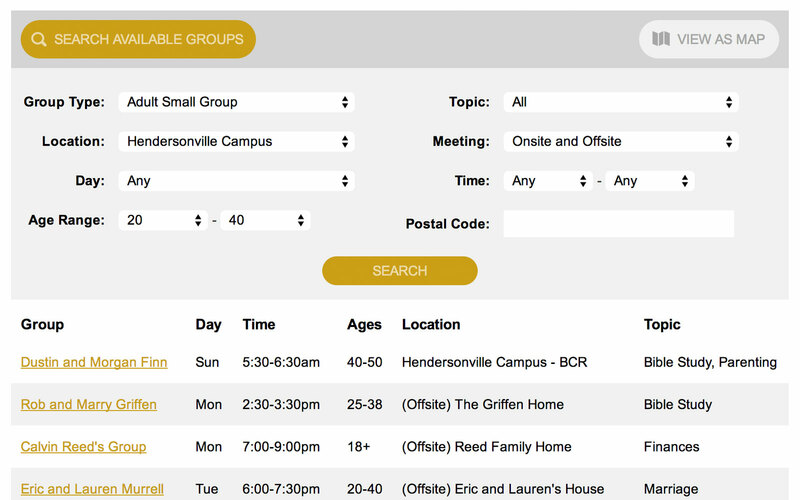 Your visitors can explore your entire media catalog without ever leaving the page; no more missed opportunities. In addition to the powerful Message Explorer menus, Series Engine also integrates fully with WordPress's native search features. Combine that with our SEO-friendly permalink pages, and your visitors will easily find your Messages on your site and across the web. If you know how to "drag-and-drop," you know how to add Series Engine content to any widgetized area in your Theme. From simple lists to detailed sections, you can add exciting new features to your site before you even finish your coffee. Series Engine makes it easy to create any number of custom audio or video Podcasts using the content you've already entered. Use the Podcast builder to provide a name, graphic, and a few other details, and you'll be up and running in no time. The Bible is the cornerstone of every sermon. 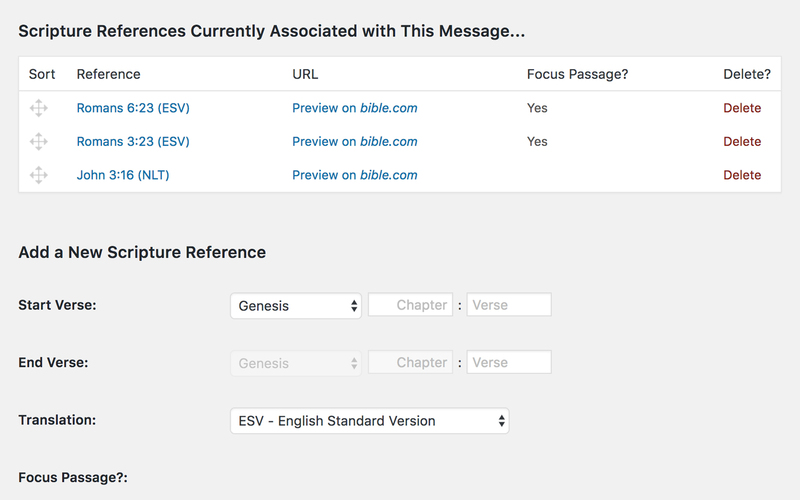 You can attach any number of passages to a Message, from a variety of translations, and Series Engine will automatically link to Bible.com and the Bible App. 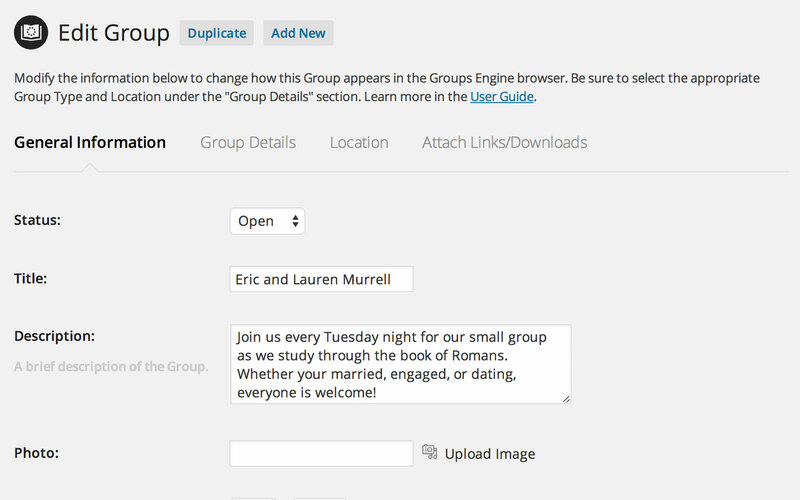 Even more, your visitors can explore your Messages by Bible book through the "Books" search menu. Do you have a wealth of supporting material to go with your content? Series Engine allows you to attach an unlimited number of links and file downloads to each of your Messages. From study guides to related websites, its never been easier to provide your audience with more ways to dig deeper. 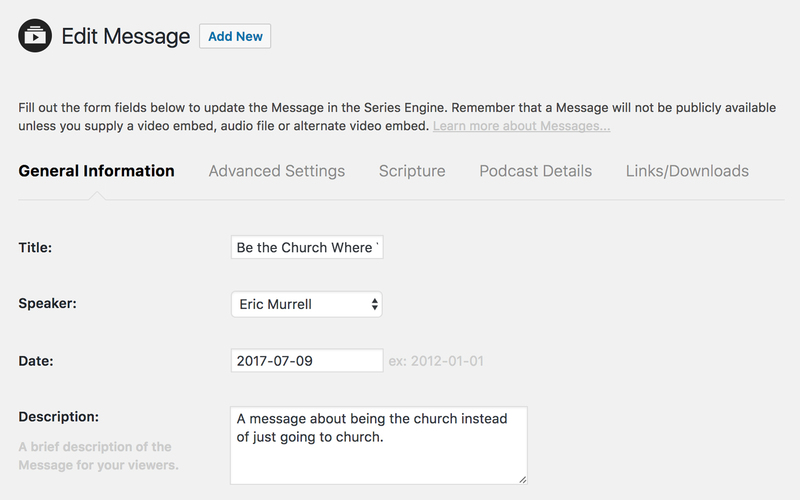 (Beta) Ready to move to Series Engine, but have a wealth of sermon content tied to another plugin? Series Engine includes a one-click importer that brings all of your content over with none of the stress. 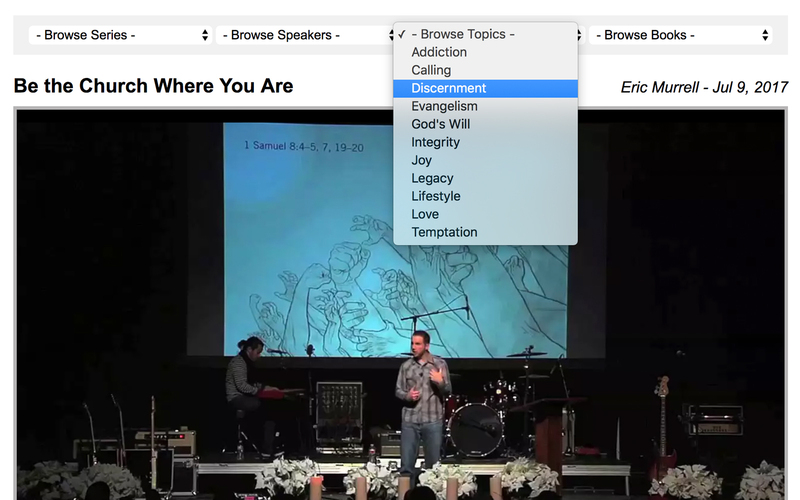 Sermon Browser and Sermon Manager are currently supported, with import for more plugins coming soon. 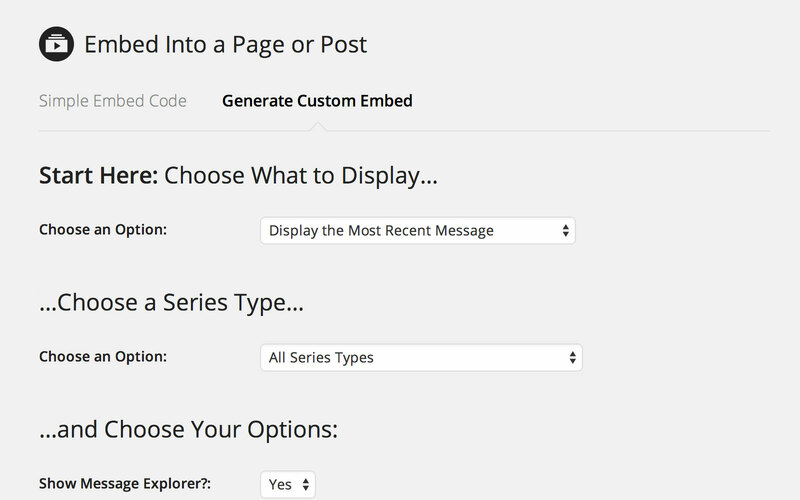 Series Engine's powerful shortcodes are simple to use with any page builder system, and Series Engine also includes native modules for Beaver Builder and Divi Builder users. Enhanced integration with more page builders is coming soon! Changing sites or switching web hosts? 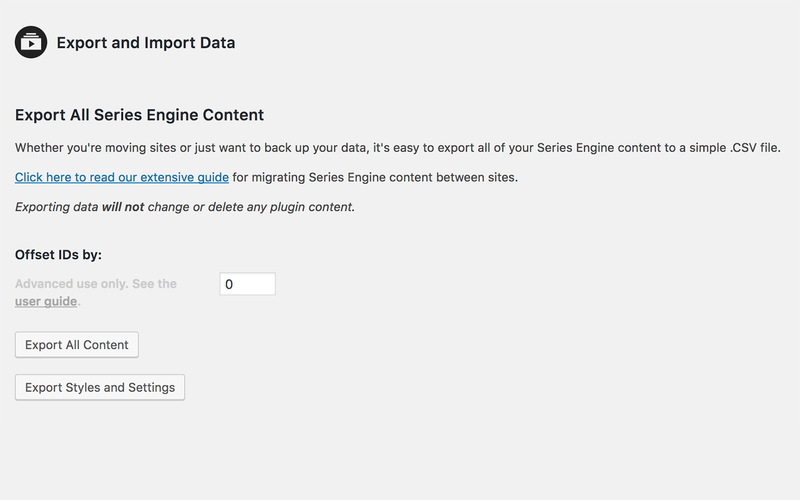 Series Engine’s powerful migration tools make it a snap to export and import massive media libraries in a matter of seconds. It’s great for creating quick backups, too. Need your sermon library ready pronto? Series Engine includes a powerful bulk upload tool that can populate your site with hundreds of Messages, Series, Speakers, and Topics with one quick click. View the detailed guide. And shrink. Series Engine's beautiful media browser is fully responsive, helping your content look amazing on a laptop, tablet, phone, or any other device with a web browser. It's easy to adjust the responsive breakpoints, too (if you're nerdy like that). Series Engine automatically keeps accurate play counts of both audio and video files. Views are only tracked when a guest actually clicks "play," helping you cut through the noise and track the content that resonates most with your audience. Does your church or ministry have an app? 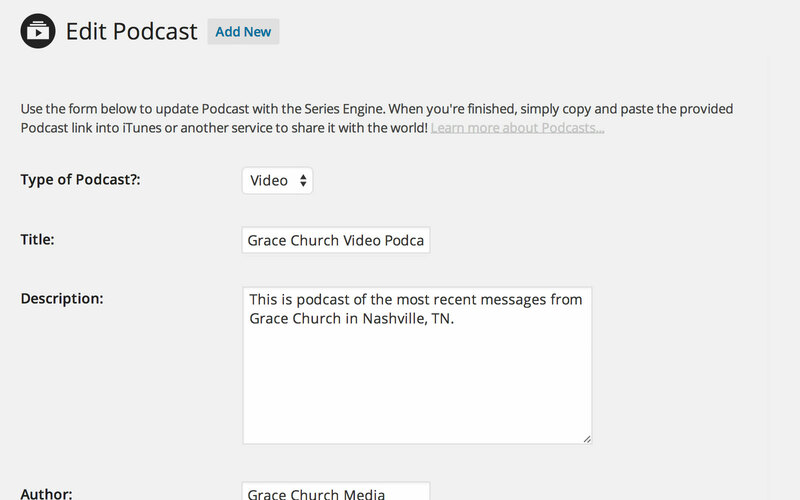 Series Engine's super-flexible podcast feeds are also perfectly formatted to use with the media features of many church apps. Talk with your app provider for more information. 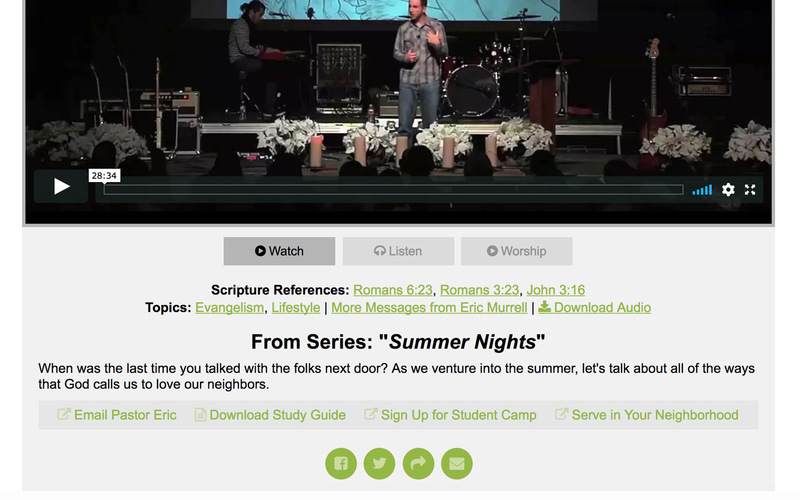 More ministries have invested in Series Engine than any other sermon plugin. From large churches with thousands of messages to church plants that are just getting started, Series Engine is the #1 pro plugin choice for thousands of ministries and developers across the globe. Get more of the pro features with you want, without the pro subscription you don't. Your one-time purchase of a Series Engine license entitles you to free plugin updates for life! No hidden fees; no monthly charges. We like to keep things simple.